On May 31, 2013, Masai Ujiri was named President and General Manager of Basketball Operations of the Toronto Raptors. He returned to the Raptors organization where he had received his first front office position back in 2007. Ujiri had spent the past three seasons as Executive Vice President of Basketball Operations for the Denver Nuggets. He was named 2012-13 NBA Executive of the Year after leading the Nuggets to a team-record 57 wins and a league-best 38-3 home court mark. Considered one of the most proactive executives in the NBA, Ujiri kept the Nuggets among the Western Conference elite through numerous trades and draft picks. He is best known for a 12-player deal on February 22, 2011 that sent All-Star forward Carmelo Anthony to the New York Knicks. That trade is heralded as a textbook example of how to receive high value in exchange for a pending free agent. Ujiri got his NBA front office start in Toronto in 2007, joining the franchise as Director of Global Scouting. He was elevated to Assistant General Manager, Player Personnel in 2008 and worked closely with previous President Bryan Colangelo. His duties included overseeing the scouting and personnel departments, talent assessment and related data management. On August 27, 2010, Ujiri became the first African-born GM in the NBA when he was hired to run the Nuggets' basketball operations department. It was also his second stint with the club after working as a scout from 2003-06 and the team's Director of International Scouting during the 2006-07 season. Prior to joining Denver, he worked as an international scout for the Orlando Magic. 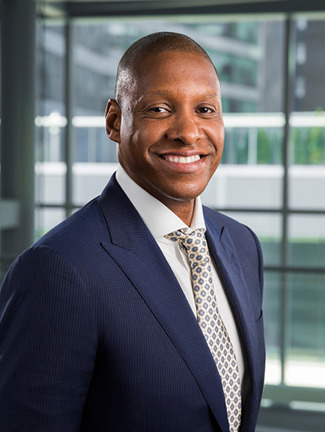 A native of Nigeria, Ujiri brings tremendous knowledge and extensive global connections to the Raptors front office. He played professionally in Europe for six years, with stops in Belgium, Germany, England, Greece and Finland. He has scouted all over the world, including Europe, Africa, Asia and South America. Ujiri has also managed and coached the Nigerian junior and senior National teams. On a humanitarian level, Ujiri has been tireless in his efforts to promote and develop the game of basketball throughout Africa. He is the Founder of the Giants of Africa Foundation, which launched the Top 50 and Bigman camps in his homeland. Ujiri also has served as the Director of the NBA's Basketball Without Borders program since 2002. Ujiri was introduced to basketball at age 13 and quickly fell in love with the game. He went on to play at Bismarck State College and Montana State University-Billings (formerly Eastern Montana College).